A toothache is no fun. In fact, some say toothache pain can be excruciating. Perhaps the best plan of action to stop toothache pain is to learn how to prevent tooth decay. Follow these 5 easy steps to prevent tooth decay and toothaches all year long. Sugar and soda harm teeth more than other substances! Limit intake of these things and try to brush or rinse after any type of snacks. This will reduce the amount of bacteria teeth are exposed to, and help prevent cavities. Everyone should brush at least twice a day, morning and evening, as well as after meals and snacks if possible. Brushing right after eating helps to remove food that gets caught between teeth or under the gum line. If you can’t brush due to being in a public place, try to rinse out your mouth after eating, at least. Many people don’t mind brushing their teeth, but they don’t go the extra step to floss and rinse with mouthwash. Flossing removes particles of debris that are too small for a toothbrush to get. Mouthwash kills residual germs that may linger in hard-to-reach places after brushing. 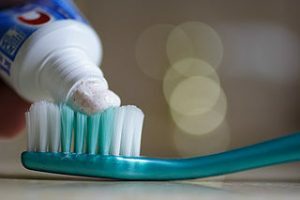 These three steps – brushing, flossing, and rinsing – will remove a majority of bacteria from the mouth and help to prevent tooth decay that causes cavities, and eventually, toothaches. No one can stop toothaches better than a dentist. Make an appointment with Dr. Buran for a thorough dental examination twice a year. Regular cleanings are important and x-rays will likely be scheduled to check under the gum line or hard-to-see places for hidden decay. Dr. Buran always offers professional advice and a plan of action to keep your teeth health. This should be followed consistently to avoid problems. In fact, make it a point now to get a new toothbrush every three months, as the old ones begin to disintegrate after that period of time. Dr. Buran offers a full range of dental services to meet the individual needs and preferences of every patient. From routine cleanings, to complete smile makeovers, Dr. Buran offers the latest dental techniques in Acworth to give patients the most up-to-date dental service and care. Schedule your appointment today.